If you love cupcakes, you'll adore this sweet Cupcake Card design which uses a free printable template that you can use over and over again for Birthday cards, Mother's Day cards, Friendship cards and more. You can even make cute Christmas cupcakes if you use a seasonal color scheme. With the swirled, layered frosting made with the Cuttlebug D'vine Swirls Embossing Folder and cute toppings, you'll be wanting to take a bite out of the finished design even though it's sadly made from paper and not real cake. Have fun. Looks Good Enough to Eat? And Make Sweet Gift Tags and Cupcake Decorations Too! 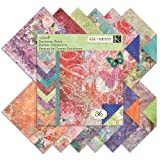 Getting bored making the same square and rectangular cards? How about a cute cupcake shaped card which is very easy to make once you've printed and cut your free template out. And the great thing about the template is that you can use it over and over again. This sweet cupcake design is a firm favorite of mine and you can see lots of examples of the template in use with the cupcake photo mosaic further down this page. Print out your free cupcake templates onto some card. Alternatively, you can print the templates out onto paper, glue them onto whatever card you have - like an empty cereal packet. If you don't have any suitable card to print onto, then using paper and sticking onto stray bits of cardboard works just as well. Cut out all your cupcake templates. If you store them well (drawers or a filing system where they lay flat) they will last you for years. Choose some card to use as your card base which forms the cupcake card when folded in half. I normally use cream or white cardstock but any light or pastel color should work well. As the front will be completely covered with decorative paper, it really depends on the color you'd like to see on the finished inside and back of your card. Draw around Template A onto your colored card and carefully cut your cupcake shaped card out. Fold it in half before laying it flat again. Pick out the color for your cupcake bottom - the part where the cupcake liner or wrapper would be. I'm using a chocolate brown scrapbook paper. Glue this all over just the front of your card which is indicated on your printed Template A. To glue, I find it easy to use a regular glue stick but you may have your own preference. Cut away the excess coloured paper - it's easier to do this by turning your card over and trimming from the back. It works well to use a different color for the top of your cupcake which forms the frosting. I've chosen pink for the cupcake topping because it goes well with chocolate brown. Other good cupcake color combos are: brown and blue, pale green and pink, blue and cream, lilac and pale yellow or any pastels. Draw around Template B which is the larger frosting shape onto your chosen paper or card and cut it out. Glue your cupcake topping on to the front of your card. Draw around Template C which is the smaller layer of cupcake frosting and onto a different piece of paper. Use some decorative paper if you have any. If you only have plain paper, what about embossing the paper first? 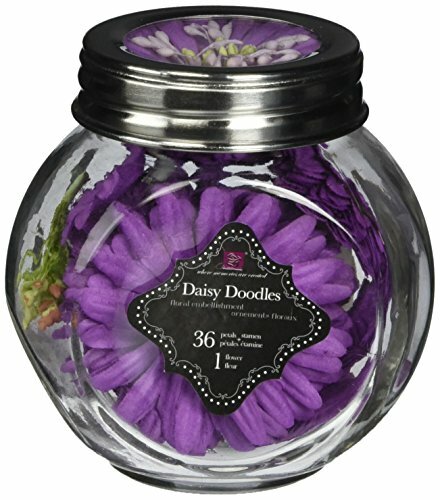 Or even hand-drawn doodles with swirls and curls can look great. Cut this extra layer of frosting out and glue into the middle of your cupcake topping. Cupcakes often come with a cherry on the top or with sprinkles. Buttons are great looking like a cupcake topping. I like to use fabric flowers with a brad or eyelet in the middle which looks so cute. If you need sentiments for your Cupcake Card come visit my Cupcake Sayings and Quotes page which has tons of ideas. You could print out a sentiment and stick it on your card or you could layer up the sentiment onto a tag - either one you've bought or one you've made using a hole punch. Simply print your template out onto card (or paper and stick onto card) then cut around it and you have a handy template you can draw around to make as many cards as you like. I've been making cards for about 30 years and here's a few little tips I'd like to share that can help make your cards have a truly professional finish. It's really all about attention to detail. 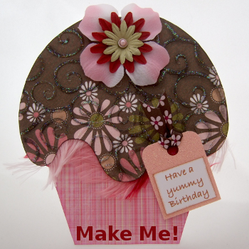 1) If you make your own cards from scratch, like with this cupcake card, they can be folded by hand. However, you'll get a far better fold if you make use of a card creaser or scoring board where you emboss the folding line on your card first. 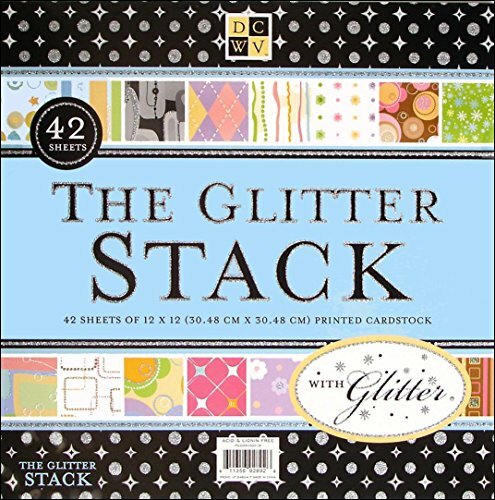 2) Disguise hand-cut card and paper, plus add extra dimension by applying a little stamping ink in a similar or slightly darker shade around the edges. Gently swipe a small craft ink pad across the edges of the paper. You can also achieve a similar effect by rubbing the side of a colored felt tip across the edge of the paper or even craft chalks. 3) If all your papers and card are smooth and flat then the finished design will probably fall flat too. Add texture to some of your handmade card. One way to achieve this is to emboss your card or paper. I often emboss the 'frosting' on this cupcake card design with the Sizzix Swirls embossing folder and add glitter glue to the raised swirls. I hope you've enjoyed reading my wizzles page today, thanks for your visit. You can also emboss designs by hand or purchase embossed paper and card. What do you think of these Cupcake Cards? Great - thank you, Caron. I think it would be very good as a Mother's Day card. Fab. Cannot think of a better way to celebrate Mother's Day. Thank you. Thank you very much, glad you enjoyed my cupcake card page. Thank you very much, Paperfacets :) That is a very nice comment to leave and I am glad you enjoyed the cupcake card tutorial. My visit to the UK started my card making activities. I was so impressed with the handmade cards I saw in shops everywhere. That was summer of 2003. I have made almost 1800 greetings since. I keep count by the number of envelope boxes of 250 that I have bought. This card tutorial is lovely and eye catching. I webpage that I Did Not scroll through in a flash. UPDATE TO CUPCAKE PAGE: You can now download the cupcake templates as easy jpg files which are shown as images on the page itself. I sincerely apologise to readers who have been unable to download the previous pdf I provided because I hadn't realised that this site had suddenly removed the download facility. So it should be all fixed now. Thank you. Thank you so much for your kind comments, Mira and Tolovaj. I had to check these photos twice, they looked so yummy, I thought cupcakes are real... Thanks for a wonderful idea, original greeting cards are always in demand!